In this post, I'd like to provide some more constructive criticism by discussing some of the thoughts and ideas that I've had for possibly resolving these three problems. 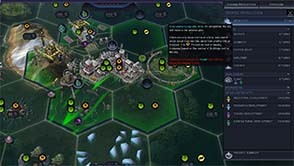 These ideas include providing a wider range of options for customizing the difficulty level and game experience to suit the individual player's tastes and style, and to provide a wider (and more open-ended) set of game-long challenges. So what could the developers do about these problems? Well, the problem of game pacing could possibly be solved by inverting the handicap such that instead of speeding up the A.I.s' progress through the game, the player is slowed down. This could be accomplished by slowing down the human player's tech and civic progress, and by negatively handicapping some of the human player's yields. 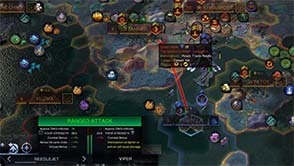 This would allow the A.I.s to progress at a more historically-appropriate rate, and overall game length would remain similar across all difficulties. Padding out sparse areas of the tech and civics trees could mitigate the ability to beeline to later eras. 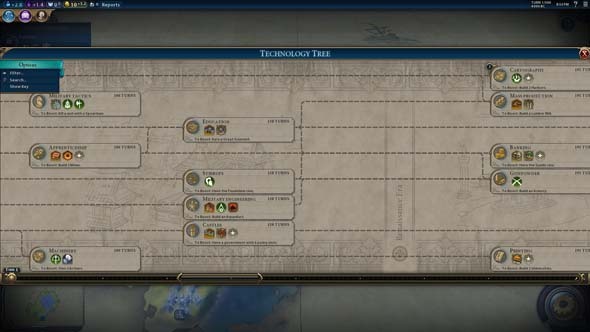 Rapid era progression could also be somewhat mitigated by padding out the tech and civics trees a little bit more. Beelining to the Renaissance via the "Cartography" technology is common for civs like England and Norway. There's a few ways to limit this. One simple way would be to simply make "Cartography" require either "Education" or "Military Tactics". 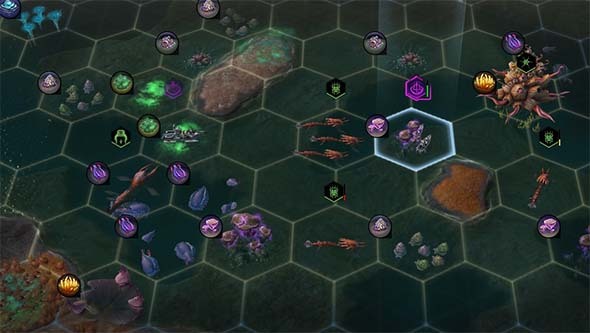 Another way would be to have a technology between "Ship Building" and "Cartography" -- such as an "Optics" technology that unlocks an upgrade to the Scout, or a "Lateen Sail" technology that unlocks a medieval naval unit like the Cog, Hulk, Junk, or Galleass (or move the Caravel up to "Lateen Sails" but don't give it ocean-crossing abilities until "Cartography"). As for resolving the other issues presented by high difficulty levels, my preference would be for the developers to add more customization and tuning options for players so that we can tailor the gameplay experience and challenges more to our liking. 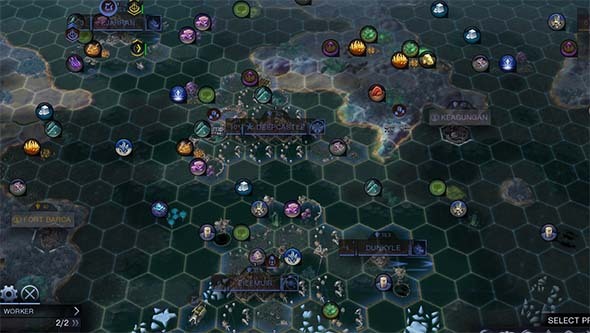 Civ VI has limited customization options. Having independent sliders or settings for things like Player Handicaps, A.I. Handicaps, AI Temperament, Barbarian Spawn Rate, Barbarian Aggressiveness, Barbarian Tech Level, City State Aggressiveness, and so on would all go a long way towards allowing the player to customize the game's challenge according to their own strengths and weaknesses. Handicap settings for players and A.I. can even be further divided into different sub-categories along the lines of: Tech Handicap, Culture Handicap, Production Handicap, Gold Handicap, Growth Handicap, Happiness / Amenity Handicap, etc.. So if you find that you are consistently out-teching your A.I. opponents, but you feel you have parity with the A.I. 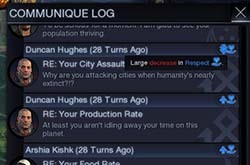 in other areas of the game, then you could specifically buff the A.I. 's tech handicap, weaken yours, or both. This would certainly make some of the game's code more complicated, but I don't think that it would be prohibitively difficult. The difficulty settings already make adjustments to these very same parameters, and I believe the game's own .ini files allow modders to customize many (if not all) of these attributes. 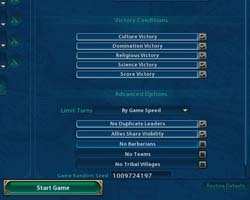 I don't see any reason why such settings can't just be in the game's settings menu, and the difficulty settings (deity, emperor, king, settler, etc.) could just use some pre-configured arrangements of those values.